What do you want to do with your life? This year’s Tidewater Community College summer camps helped students imagine their futures by giving them hands-on experience in a variety of career fields. control router to make a sign. 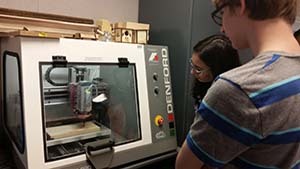 Middle and high school students in Hampton Roads got a taste of college learning with exposure to 3-D printing, computer-numerical control machines, computer-aided design, crime scene investigation, creative writing, wildlife and the environment. In all, about 130 students participated in a TCC camp this summer. The Chesapeake Campus hosted a Maker Camp for the first time this year. on the Virginia Beach Campus. “Being a ‘maker’ involves seeing a need, thinking creatively, solving problems and finding solutions,” said Thomas Stout, dean of science, technology, engineering and math programs at the Chesapeake Campus. Makers learned to use 3-D printers, laser cutters and computer numerical control machines to bring their projects to life. The camp introduced basic electrical and mechanical design to develop different projects, and spark students’ interest in careers in mechatronics, advanced manufacturing and related careers. “I’m glad I came to the Maker camp. I’ve never been able to use this type of technology, and now I have a whole new world of possibilities to create things,” said Brenna Peko, a student at Western Branch High. All camps were taught by TCC faculty and personalized for each camper, who received a free career interest assessment an interest assessment at the end to evaluate future career goals and related possible college majors. Laney Sheridan, a rising seventh-grader at Kemps Landing/Old Donation School, was part of the summer writing camp on the Virginia Beach Campus. Campers explored writing genres, wrote and performed their own rap and culminated the week with a one-act original production. Young Explorers camp on the Portsmouth Campus. “It’s a great creative outlet,” said Sonia Howell, a rising sixth-grader at Virginia Beach Friends School. Professor Rick James, head of TCC’s Administration of Justice program, led a “Crime Scene Investigation” section as part of the Young Explorers camp on the Portsmouth Campus that introduced terms like fracture matching, impression evidence and search patterns. Campers pieced together evidence from a crime scene, drew the scene on a board as professionals would and each had fingerprints made. Camp Osprey encouraged campers to explore the great outdoors, area wildlife, and related careers in biological sciences and the environment. An island on the wetlands of TCC’s Chesapeake Campus is an was the ideal location for hiking and science experiments. campers many species including a spotted owl. 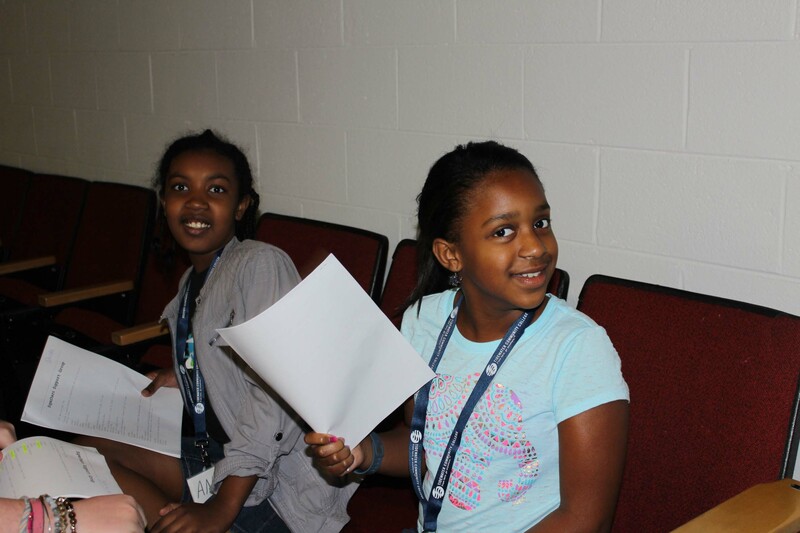 A career exploration camp on the Virginia Beach Campus exposed campers to careers from engineering to law enforcement to computer repair to science to health care. A show at the TCC Planetarium inside the Science Building and a hunt for treasure using electronics capped the week. TCC camps for summer 2016 will be announced early next year!